Have you received a Careless Driving, Stunt Driving, Speeding Ticket or other traffic ticket in Brampton? 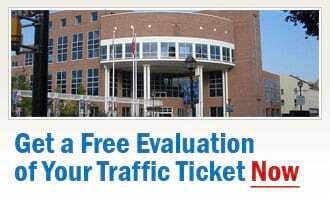 - Contact our agents for traffic ticket defence in Brampton for your free, no-obligation consultation, and we will review your ticket charges, discuss the unique circumstances of your case with you, and advise you on your options and about what we can do to help you. For over a decade now, our Ticket Defenders®* specialists have been helping people have their Careless Driving, Stunt Driving, Speeding Tickets, Drive Suspend, No Insurance, and any other traffic charge either reduced or dropped altogether in court. Our hard-working team of ticket defenders is trained to be the industry's very best. They will take their time to review your case and then build you a custom defence in court. We can save you from insurance increase, and from the risk of accumulating points on your record. Ticket Defenders®* is a highly respected firm, with a great reputation for integrity, and high success rates in court. We only ever give our clients straightforward, honest advice, and we will never make you any unrealistic promises or guarantees. Don't just pay your ticket or incur demerit points - there is no reason why you should not use your right to defend your traffic ticket in Brampton court; and with the help of our experts on traffic ticket defence in Brampton, you have more than a good chance to succeed!